Whether it's been an emotionally difficult time or just a crazy week at the office, this is the ultimate way to completely decompress. Guaranteed to make you the most relaxed you've been in your life! Your choice of high quality botanical oil. Incorporates pressure points, foot reflexology, swedish and lymphatic massage to promote deep healing, detoxification and rejuvenation. Tired of headaches, congestion or head/neck tension? This treatment was designed for you. Customized massage and aromatherapy for your particular needs. 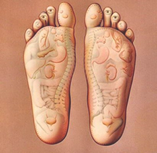 Combines pressure points, reflexology and trigger point therapy to release muscle constriction. Includes a face, scalp, neck, shoulder and upper back massage. Great for sinus and tension headaches. Melt away those knots and kinks. A thorough, effective neck, shoulder and full back massage. 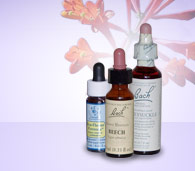 Your choice of high quality botanical oil. Combines targeted therapeutic techniques with relaxing swedish techniques. Also known as the Ultimate Stress Solution. For Arthritis (Rheumatoid, Osteo, etc. ), Fibromyalgia, Chronic Fatigue Syndrome, Lupus. Calms the nervous system to reduce flare-ups. Improves sleep and quality of life. Decreases pain frequency/severity. Reduces stiffness and improves joint range of motion through a series of gentle joint rotations and positioning. Also involves gentle, soothing compressions of the limbs to lengthen muscles around joints. This eases the grinding and pain in the joints. Releases synovial fluid to help lubricate the interior of the joints. Arthrossage is relaxing and soothing while powerful and effective. Wear loose clothing. The ultimate foot treatment so far beyond a simple foot massage. Medium-firm pressure point work. Affects the organs and systems of the body. Brings about healing and balance. *Special Feature: 30 minute radio interview! Click here and select 'Open' to listen! A unique treatment. Combines soothing compression, acupressure work and gentle stretching to leave you limber & refreshed. Wear loose clothing. Employs gentle, rhythmic pumping, palming and sweeping techniques to reduce swelling/edema, encourage detoxification, strengthen the immune system and promote overall wellness & relaxation. Very nurturing and soothing. Tailored with a pregnant woman's changing body and needs in mind. Mom-to-be is gently cradled in pillows while aches and pains are soothed away. Safe for mother and child. Your choice of scented plant oils used for your massage. Deeply relaxing. Promotes healing, emotional/spiritual balance and well-being. Hands are held above or gently placed on your body to channel universe energy. Also combines visualizations and healing colors. Not a massage. Back to top | What is Energy? The amazing flower therapy with no scent! Brings about Emotional-Mental-Spiritual balance. Reduces stress, anxiety, depression and much more. 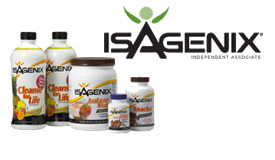 Boost physical vitality/health, lose weight safely, and cleanse your entire body gently yet effectively with Isagenix products. Free 30 minute consultations. Products priced individually. and areas of health that could use improvement through nutritional or lifestyle adjustments. awareness. Phone consultations are done much the same way. A 24 hour notice for rescheduling/cancelations is appreciated.